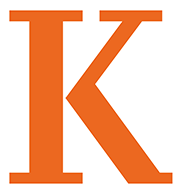 The cost of attendance at Kalamazoo College varies depending on factors such as whether a student lives on or off campus, travel expenses, food costs and more. *First year students are also charged a one-time matriculation fee of $150. These charges do not include students’ estimated indirect costs such as books, travel and personal expenses which range from $1,200 to $2,500. For more information on calculating your cost of attendance, contact the Office of Financial Aid. Office hours are 8 a.m. to noon and 1 to 5 p.m. Monday through Friday.